Rise & Resist takes a wild trip through the new activism sweeping the world. The political march is back in a big way, as communities rally to build movements for environmental and social justice. But today’s context calls for increasingly creative strategies to make our voices heard. 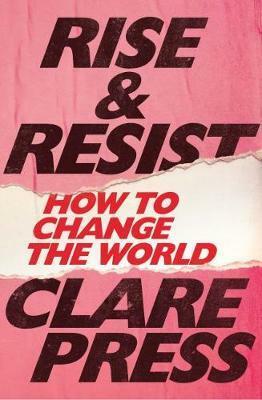 Crossing the globe, Clare Press meets passionate change-makers who believe in the power of the positive. From eco warriors and zero wasters to knitting nannas, introvert craftivists to intersectional feminists, they’re all up for a revolution of sorts. Are you? Join Press as she tracks the formation of a new counterculture, united by a grand purpose- to rethink how we live today to build a more sustainable tomorrow.